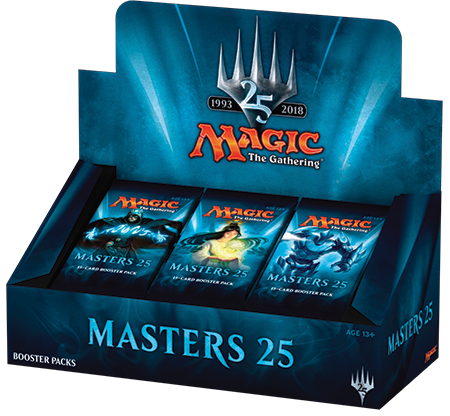 Masters 25 previews kick off next week! Featuring a card from every black-bordered set in Magic's history, it's both something old and something new. It's a powerful tool to be able to get this rush of nostalgia inside a brand-new experience; this celebration of our 25th anniversary delivers in spades. Part of the fun of Magic is taking cards and interactions you know and recontextualizing them in a whole new environment—which is the specialty of Masters 25. You know how a card, or in some cases a whole suite of cards, may have played the first time around. But this time they're up to the plate, you can expect some new interactions. Such as . . .
. . . Okay, okay, I'm going to hold off on any previews for today. That's for next week! We're almost there. Before we get into next week and the attention turns to all the sweet cards in the set and the many stories they have to tell, I wanted to set the stage a little from the standpoint of Product Architecture. What are Masters sets trying to do? Where are they headed? And most of all, what can you expect? Let's go on a bit of a journey. To understand how we got here, let's go back to how these all started in paper. In the beginning, there was Modern Masters. Early in my time at Wizards, a project named "Project Picasso" was put onto the calendar. The goal of this product was to provide reprints of Modern staples for players who needed them. Project Picasso would eventually turn into the first Modern Masters. It would only feature cards already legal in Modern, from Eighth Edition (where Modern begins) through Alara Reborn. This meant we wouldn't tread on any cards that were too new, mostly focusing on the oldest pieces of our back catalog. We hadn't tried much like this before. Sure, we had dabbled with Masters Editions on Magic Online, mainly as a way to get older cards into the Magic Online ecosystem. If you go way, way back, you get to Chronicles, which is generally seen as a product that did not go super well for us. We were breaking into fairly new territory here. And internally, opinions were pretty divided as well. Some people felt like Modern Masters would be wildly popular and beloved. Others were concerned that we were signing ourselves up for Chronicles all over again. So, the team did a lot of very careful work and thinking about the set. And one of the big early things they latched onto was, what if in addition to being a way to deliver cards players really wanted access to, it could stand on its own as a Draft format? What if we could use all these old mechanics to create a Limited experience truly unlike any other? Bingo. Everybody fell in love with it. I remember one December day when I was an intern on the development team (now Play Design), there was a blizzard. (Well, what passes for a blizzard in Seattle. Which is to say, there were around six inches of snow.) I came into the office, and in all of R&D there were maybe four people there. We spent the entire afternoon one-on-one drafting Modern Masters. We just couldn't stop because it was so much fun. It was clear that adding this play experience and Limited themes to the set went a long way. 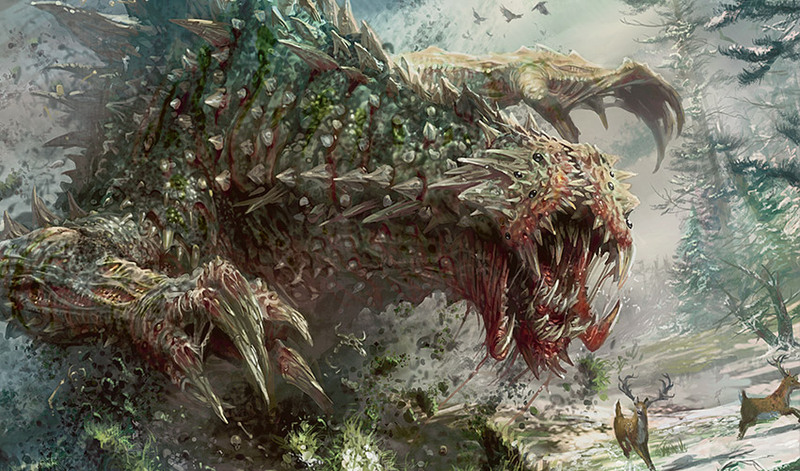 That, combined with a number of other elements—foils in the packs, cards people needed for Modern—ensured there was enough excitement around Modern Masters to carry it to release. Erik Lauer and his team did an amazing job on the development of the set. We released the set, it was a huge success, players loved it, and I now have many fond memories of soulshifting back creatures with changeling. And that meant it was time to start work on a second set. It quickly became apparent that players needed even more cards for Modern, and we wanted to oblige. 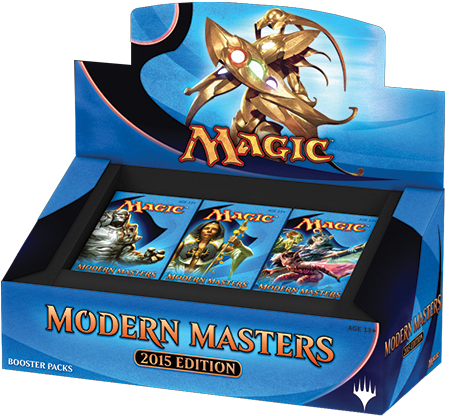 So we leapt into designing the set that would become Modern Masters 2015 Edition. We knew off the bat that we were going to need to have another exciting Limited gameplay environment. To many players, that was just as much of a reason Modern Masters was great as the fact it contained exciting Modern staples! However, there was a problem: we used a lot of the themes that would work well in the first Modern Masters. Fortunately, Erik Lauer had foreseen this as a possibility and made sure we carved out space for our future selves by not going past Alara Reborn before. If we widened that range a little bit, we would both be able to reprint several cards players needed to have access to and create new Limited themes. So we did just that; Modern Masters 2015 picked up Zendikar and Scars of Mirrodin as blocks in its pantheon, along with the surrounding core sets. This injected several new themes and allowed for some fun cross-block synergies. We worked hard on the set, crafted the Limited environment, and released it. Once again, we had a huge success on our hands. It was clear that Masters sets were here to stay. And the next time around, we did something a little different. 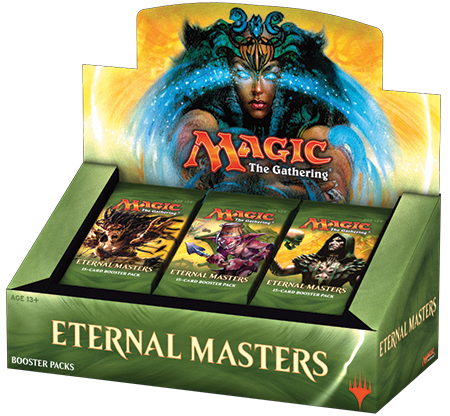 After two consecutive editions of Modern Masters, we decided to branch out and go for something new: Eternal Masters. Why? Well, we had heard feedback from a lot of people that they wanted access to cards outside of Modern. Cards for Legacy and Vintage, as well as even more casual formats like Cube and Commander, were in high demand. 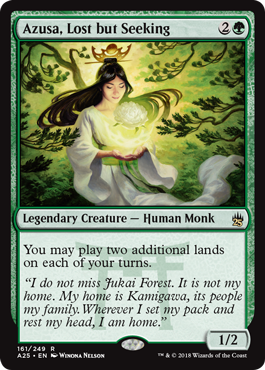 And while we had alleviated a smidge of this with the addition of Draft innovation sets like Conspiracy by this point, that certainly hadn't covered the format so widely. And from a design standpoint, this busted the doors wide open to create a brand-new Limited experience using all kinds of pre-Modern cards to cool effect. You see, we had learned by this point that there were really three primary audiences for these sets. The first is people who really want the individual cards in the set. They are on the hunt for cards that might not have been printed since they started playing the game. Magic has exploded in popularity over the past few years, and a large portion of our player base simply wasn't around the first time we printed many of these cards. The second is people who really enjoy the Draft experience of the set. They really like the unique and highly complex power level of these sets. To them, the cards in the sets are means to an end: they might use the cards they draft to help them draft again, but they aren't explicitly interested in collecting them. And finally, the third category is simply the overlap of the first two. These players both want the cards and enjoy drafting the sets. As it turns out, there are a lot of players in the second and third camps. That isn't to say that the first group is miniscule—far from it—but as we had learned by this point, the Draft environments were crucial to the set. People listed previous Masters sets as some of their favorite Draft formats of all time. At the same time, it was important the sets have exciting cards for players who had started playing in just the past few years. Keep this in mind as we examine the next set in the line. 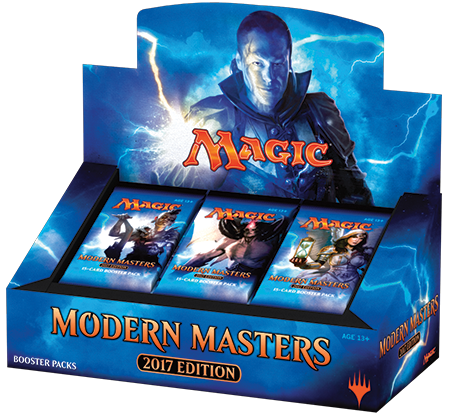 Modern Masters 2017 Edition might be my favorite of the Modern Masters sets. There's something about a crazy multicolor soup format that just allows you to piece together powerful gold cards that makes it a blast. I heard similar things from others as well, and I hope you had a good time with it. However, from a design standpoint, the difference between working on Eternal Masters and Modern Masters quickly became apparent. Eternal Masters had a lot more design space because of the increased card pool, and it could give players whatever cards they wanted from across history. While Modern Masters 2017 was certainly another huge success, after opening the well of Eternal format reprints it was clear that players were hungry for even older cards. Additionally, the drafters out there wanted deeper and deeper formats, which having a wider card pool helps us to achieve. Modern Masters 2017 helped us there by being the gold set—which is pretty easy to make work and feel exciting. But we can only pull that trigger every so often. We had learned a lot from these first four Masters offerings. And it was time to think about the best steps to take going forward. Along with many other lessons, we have learned two very important things from our past Masters sets. Players want cards for more than just Modern, they want them for Commander and Legacy and Canadian Highlander and whatever other formats they love to play. And frankly, we want to be able to get you these cards. If a card from, say, Magic: The Gathering—Commander badly needs a reprint, we want to be able to slide it into a Masters set without concern for Modern legality. Additionally, you folks wanted deep, interesting Draft formats. And the best way to create the most enjoyable Draft format possible in an all-reprint set is to increase the size of our toolbox by increasing the number of possible cards we could use. We are entering a new age of Masters. We're moving away from the days of focusing on formats, specifically for reprint-only sets. That's both limiting for us and limiting for you. Instead of being focused on formats, Masters sets going forward are going to be focused on themes. This is very exciting to us in R&D. One of the biggest breakthroughs in all of Magic design was when we started giving themes to our sets, all the way back in the beginning. Innistrad is about the graveyard and Gothic horror. Ravnica is about multicolor cards and the guilds. Zendikar is about lands and adventure. Some of the biggest successes in Magic history come from having themes on top of our sets, and I'm very excited for us to bring that to the Masters sets. And while they may not have the creative trappings of a new world, the feel the sets evoke and kind of cards they contain can very much carry a theme. 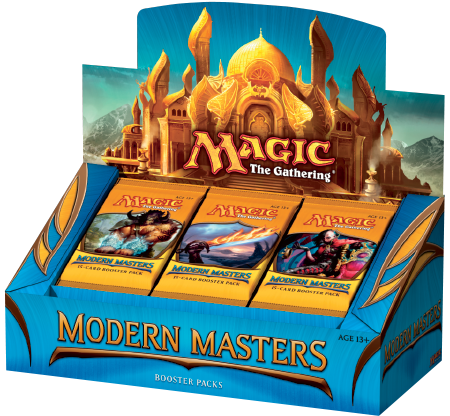 There's one point I want to stress: this doesn't mean we'll never see another set focused on Modern again, or anything of the sort. That could even be an occasional theme of its own! But, at least for the near future, you are going to see themes, rather than formats, running through Masters sets. We saw this first appear in Iconic Masters. That was our first swing at this new model. This was a case where I felt like the Draft format was great—and most others I spoke with who played it agreed. We executed well on that axis. However, I know there are other factors about the set many of you didn't find quite as great. Many players felt like the cards inside weren't as exciting as they had originally hoped, which is important to the collectors, the drafters, and those who like to do both. The name was misleading, as we intended for "iconic" to indicate iconic creatures, but—especially coming up on our 25th anniversary—it was widely interpreted by players to mean historically iconic cards. The early preview at HASCON, while very cool for the people there, meant a lot of the excitement around the set had evaporated by the time it was released. And to top it all off, it was releasing at a very busy time of the year, right next to the highly anticipated Unstable. I've read through pages and pages of feedback on the set, and talked to countless stores and players about Iconic Masters both in person and online. I cannot stress enough that this is something I really, truly care about. If you weren't happy with Iconic Masters, on behalf of the team, I would like to apologize. With everything we do in R&D, we're always learning from our experiences to make the next set as great as possible. And I have some good news. Masters 25 is the themed Masters set you've been waiting for. This is the set full of exciting, iconic cards. You get to wield nostalgic reprints from literally every black-bordered set in Magic. 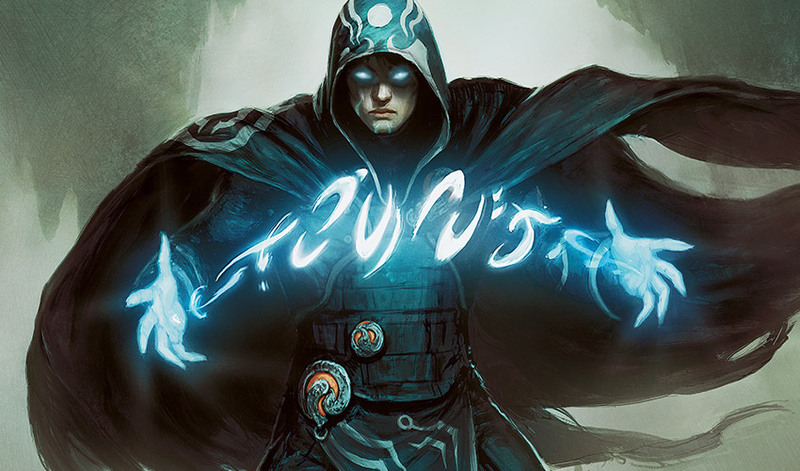 You've already seen Jace, the Mind Sculptor—and there are plenty of other saucy reprints inside. To clarify the theme: what you're going to see in this set, precisely, is a theme of nostalgia and history. We picked many cards, especially at common and uncommon, that should conjure up memories. I know playing with some of these cards again simultaneously gave me flashbacks to sitting on my carpet at home casting unsleeved spells with my brother, building decks for my first Friday Night Magic events, all the way through competing on the Pro Tour. No matter how long you've been playing Magic, you'll find cards to remember here. We even gave all the cards this snazzy watermark to show off where they're originally from, something we decided to do as a nod to all the history represented here. If I had to pick a Magic set that best showcased our 25-year history to put into a box and bury in a time capsule for humanity (or aliens) to discover 25,000 years from now, this would be the one. I can't wait for you all to see what's in the set and then get your hands on some cards over the next few weeks. Have any thoughts or questions? I would love to hear from you! I love taking in feedback, and it really does help to craft Magic's future. Feel free to send me a tweet, ask me a question on my Tumblr, or send me an email (in English, please) at BeyondBasicsMagic@gmail.com. Enjoy Masters 25 previews next week, and I'll talk with you again very soon!